Innerspec Technologies in collaboration with the University of Alcalá de Henares is accomplishing a research chair on Modeling and Advanced Signal Processing of ultrasounds. The purpose of this chair is to investigate defect sizing capabilities using EMAT guided waves. 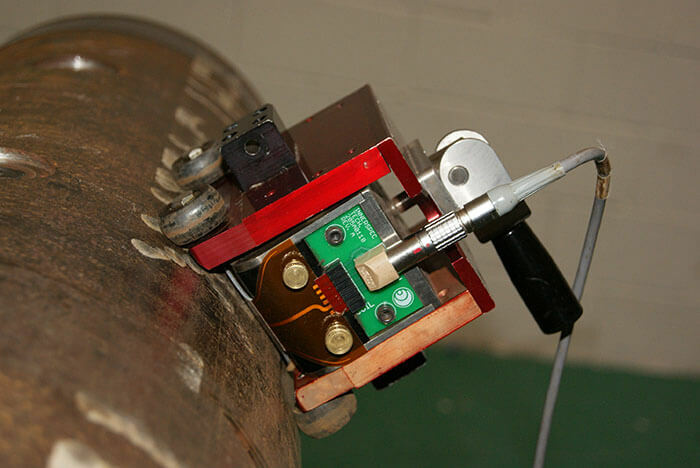 Researchers are applying advanced signal processing techniques to EMAT Lamb Waves to develop a novel methodology that provides accurate information about pipeline’s remaining wall thickness and defect profile.